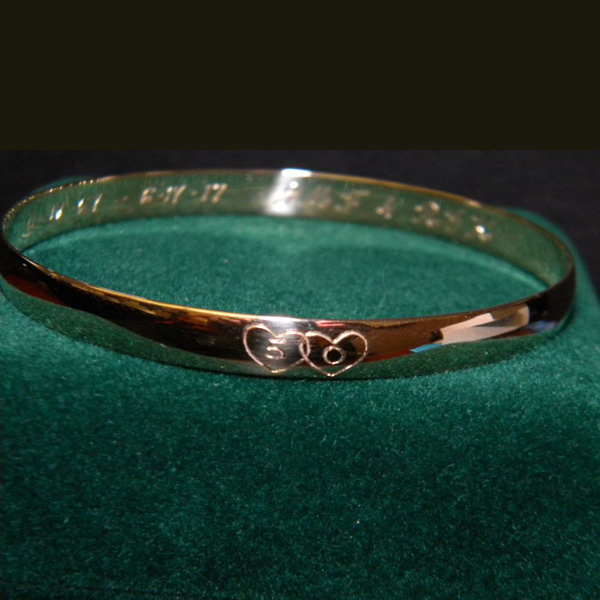 Need a great anniversary gift? 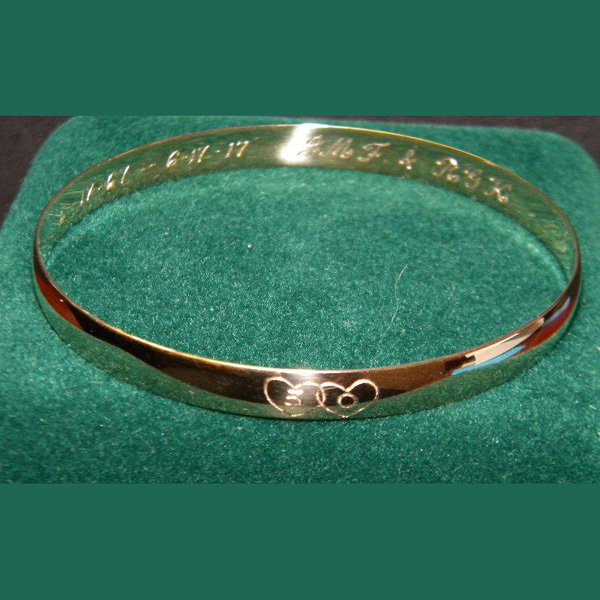 Take a look at this gold solid bangle with accent hand engraving on the outside and inside. Happy 50th to this awesome couple!